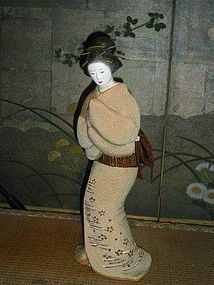 Japanese Female Isho Ningyo, mid-20th Century. 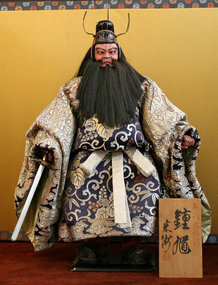 Height: 18 inches (45.75 cm), including stand 20 inches (51 cm). Japanese Ambassador Ningyô. 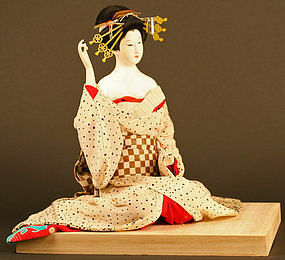 These were used as international gifts of cultural exchange. 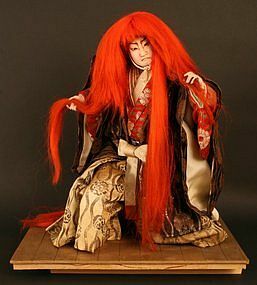 This doll has a poignant face with a compelling expression. 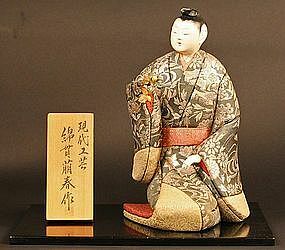 She is a very young little girl wearing a rich dark blue kimono with pale flowers and a red obi. 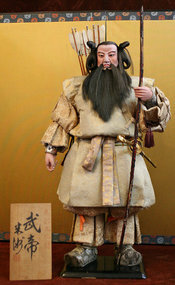 It is really just a wonderful doll that will surely enhance any serious doll collection. 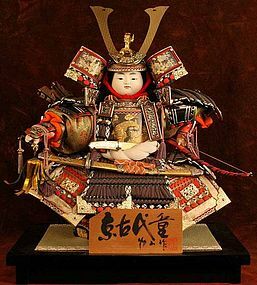 29.25 inches, (74.5cm) tall. circa 1930's. 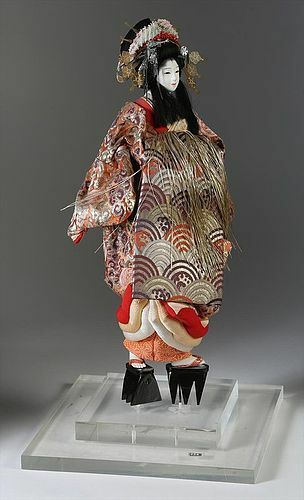 From a widely renowned and published collection that has been exhibited at the Metropolitan Museum and Japan Society.